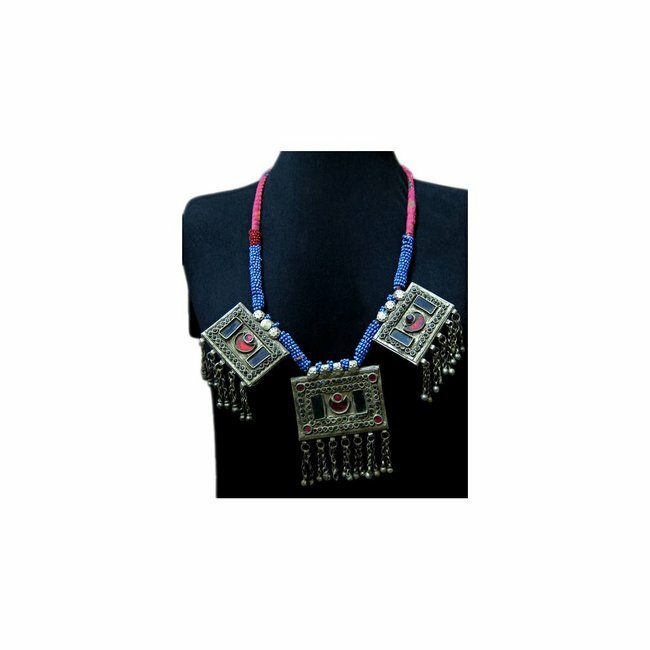 Tribal necklace with colorful pendant; Inside length 37cm Read more.. 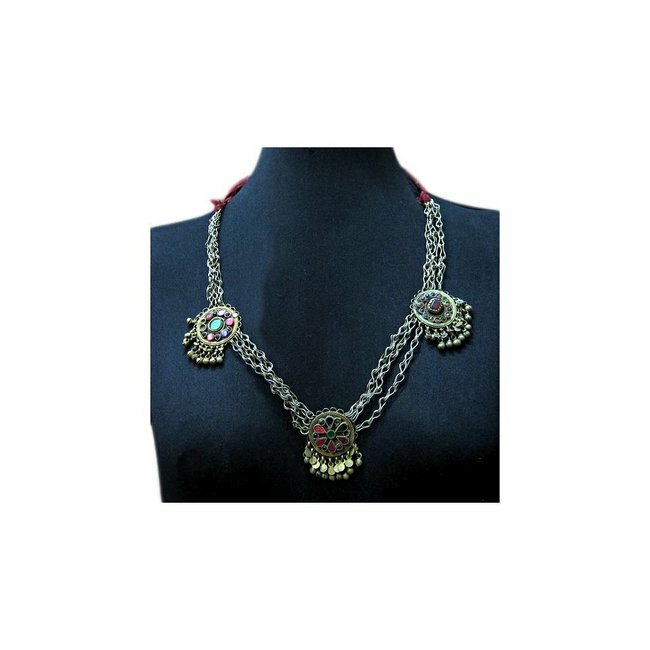 The trailer of the chain has partially verdigris. 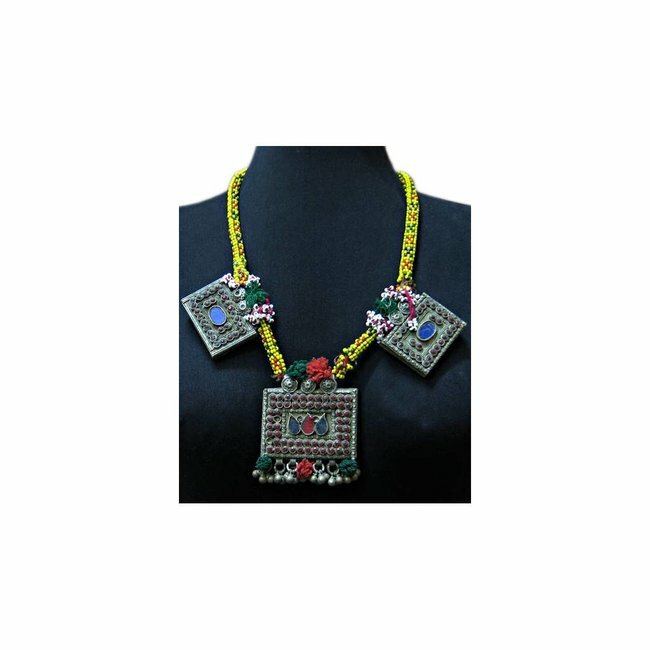 Multichain Tribal necklace with three pendants round; Inside..
Tribal necklace with pendants and woven pearl chain; Inside ..
Large Tribal necklace with colorful pendants; Inside length ..
Multitail Tribal necklace with three pendants round; Inside ..